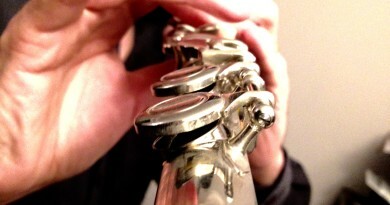 The 5th note in the key of C Major is G. Working clockwise, we’ll put C at 12, and G at 1 o’clock. Now we can work out the 5th note in the key of G Major. Counting up another 7 semitones from G brings us to D. Then we find A, E and B. We’ve made it to 6 o’clock. and we’re back at C again. 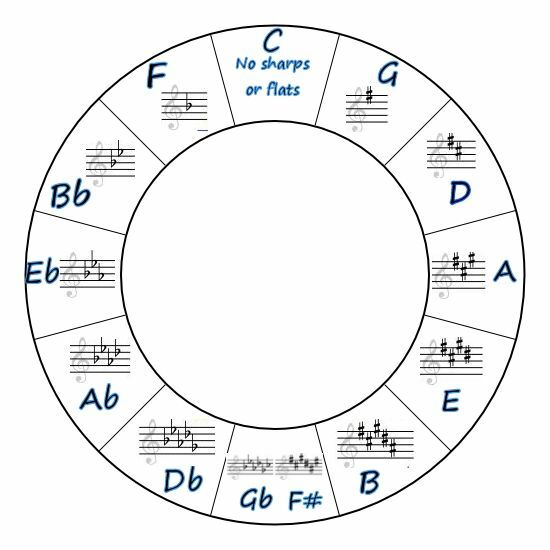 Now we know what our Major keys are, we can start to work out Key Signatures using this same Circle of Fifths. T is for TONE (2 semitones). s is for semitone. A major scale on any note will be use the same pattern. T, T, s, T, T, T, s.
T stands for tone which is made up of two semitones (semi means half). The s is for semitone. If you play all the white notes on the keyboard from one C to the next you have played a C Major scale. There are no black notes, and there is no Key Signature, because we don’t need to use any notes that we call sharps or flats. All key signatures are made up of all sharps or all flats, never a mix. C Major has none. With C at the top in the 12 o’clock position, we can move clockwise to find the next 5th, and the next 5th, and so on. 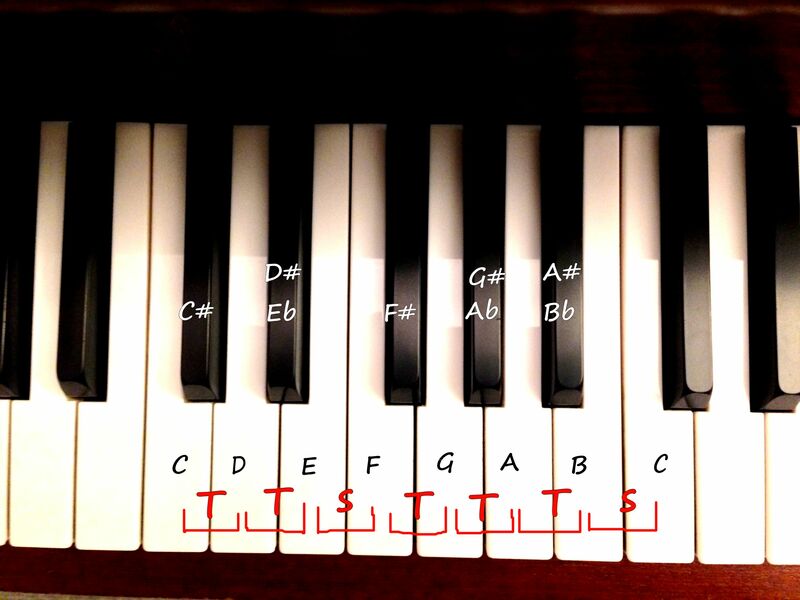 We can also start identifying key signatures this way. To the right (clockwise) all the way to the bottom are keys that use sharps (#) in the key signature. The number of sharps increases by one each time. 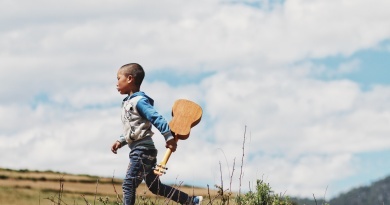 F# Major has 6 sharps (F#, C#, G#, D#, A#, E#). The sharps are always written in the same order starting with F#. And they too follow a pattern of 5ths. 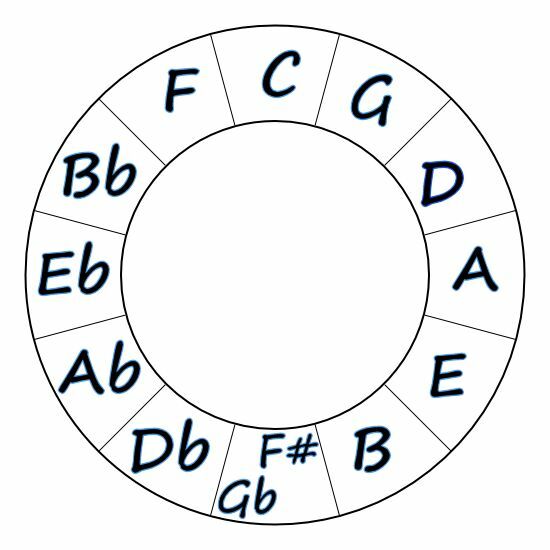 Have a look at the Circle of Fifths with Key Signatures to see how they form a pattern on the treble clef stave too. Go back to 12 o’clock where C is again. Moving counter or anti-clockwise you will find F next. This is the first of our Key Signatures with a flat (b). Gb Major has 6 flats (Bb, Eb, Ab, Db, Gb, Cb). Working counter or anti-clockwise, we have moved around the Circle in 4ths, not 5ths. A perfect 4th is 5 semitones. You can see the flats in this way have moved in 4ths too. Hopefully this will help you remember how to work them out. Our Major scales are pretty reliable. They follow a pattern, and fit into the Circle of Fifths well. Each of these key signatures can easily be worked out too. It’s all about patterns. 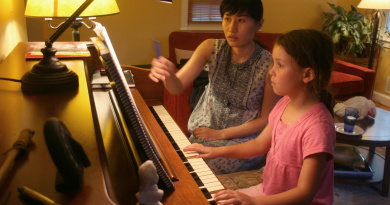 Each Key Signature is shared with the Relative Minor scale. Major keys and Minor keys are said to be related when they have the same key signature. 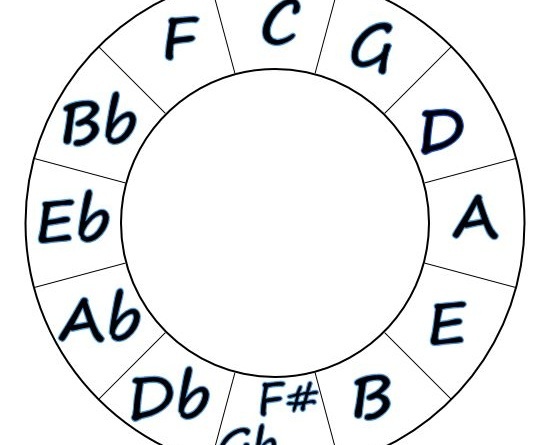 Find out how minor keys fit in the Circle of Fifths in Part 3.